It’s the time of year to add some glamour and luxury to your wardrobe with gold jewellery, not just real gold but gold plated pieces are right on fashion. 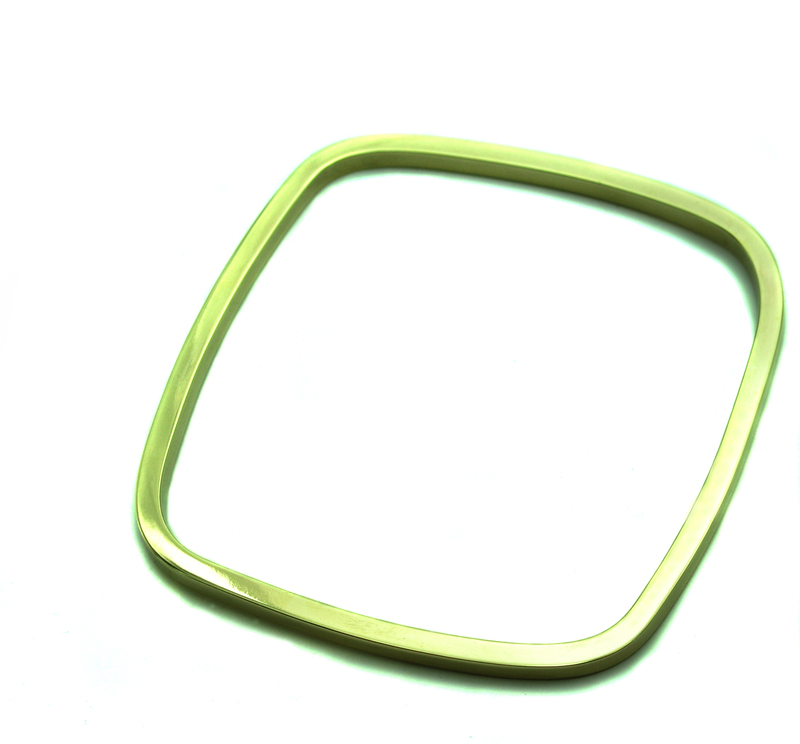 I’ve recently completed a commission of a chunky square rectangle bangle and pendant made in luxurious 9ct yellow gold. This was made for my clients special birthday, who used to have a rectangle bangle which was sentimental to her. Here is what the finished square bangle looked like. My client was thrilled with both pieces and wears then regularly. I also have a small amount of gold jewellery in stock including these gorgeous 9ct yellow gold with diamond rings. They can be worn together or separately or you can layer them up with other rings. If you are a big fan of yellow gold jewellery any of my silver collections can be made into gold for you. However for those of you who can’t afford the real thing but like the look of yellow gold jewellery, you can choose my stunning silver frame collection with 22ct gold leaf detail. This collection is available to purchase from my online jewellery shop and doesn’t have the high end price tag of solid gold jewellery! My website is currently undergoing some exciting changes and I will be adding more stunning pieces of jewellery over the next few weeks. To see updates of changes become a fan of my Genna Design facebook page, where you will be first to find out about my competitions and new pieces.